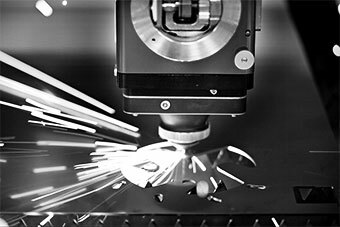 State of the art cnc laser cutting, waterjet cutting, plasma cutting, corner notchers, guillotines and shears for almost any application. High precision European machinery from Cutlite Penta, Resato, Boschert, SafanDarley, RAS and Simasv. Machines for bending applications including electric and hydraulic press brakes, ring rollers, bending presses, folding centers and long length folders. Designed to meet the needs of today’s manufactures with some of the industries best machines. Machinery specifically designed for the HVAC industry. Austech 2019 – Our biggest yet! The principal of Sheetmetal Machinery has acquired over 33 years of experience in the sheet metal manufacturing industry. Our comprehensive knowledge and expertise has made it possible to provide customers with specialised consultation on all facets of manufacturing including machine requirements, part design, tool requirements, service, support, software solutions and more. Sheetmetal Machinery are dedicated in providing the latest leading edge solutions to remain competitive in today’s market. We pride ourselves on our commitment to our customers, as such exceptional sales and service is offered on the range of machinery supplied. Reliable service is an important aspect for any manufacturing business. Correct preventative maintenance is a proven factor of machine up time, longevity and resale value of your asset. 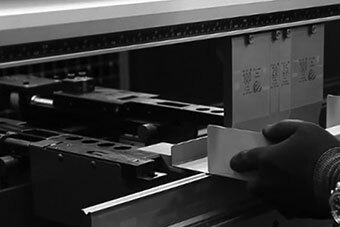 Sheetmetal Machinery is supported by a team of qualified in-house service engineers throughout Australia and New Zealand. Our engineers receive regular OEM training and certifications, combined with an comprehensive inventory of spare parts to ensure the best possible support. Based in Melbourne, Sheetmetal Machinery represent a number of reputable innovative European machine tool manufacturers. Our showroom includes a range of machines for demonstration, allowing customers to see them in action. Our machine range includes brands such as SafanDarley, RAS Reinhardt Maschinenbau, Krasser, Boschert, Cutlite Penta, Resato, Spiro, Q-Fin, Coastone, Gecam, Lasit, Simasv and ACF. With 33 years of experience, your investment is in secure hands. Sheetmetal Machinery provide competent, quick and independent sales, service and spare parts support. We provide personal and specialised consultation to ensure an optimal production solution to suit the needs of any business. We supply the latest quality European machinery for hundreds of sheet metal applications. Correct preventative maintenance can reduce potential issues and down time. Our dedicated service team are capable of performing profession technical support. Suppliers of innovative high precision machinery for the manufacturing industry in Australia and New Zealand. Stay up-to-date with all the latest news, products and service information, and events from Sheetmetal Machinery Australia.